The Northbank is proud to boast that we have the smallest police station in the WORLD on our footprint! The small police post was added during great depression of the 1930’s, and can only fit one person at a time. It was linked directly to Scotland Yard and some claim that its slots are designed so that whoever was posted there had all round vision of the area. Trafalgar Square has always been a centre for protest and confrontation, prompting the construction of the building. 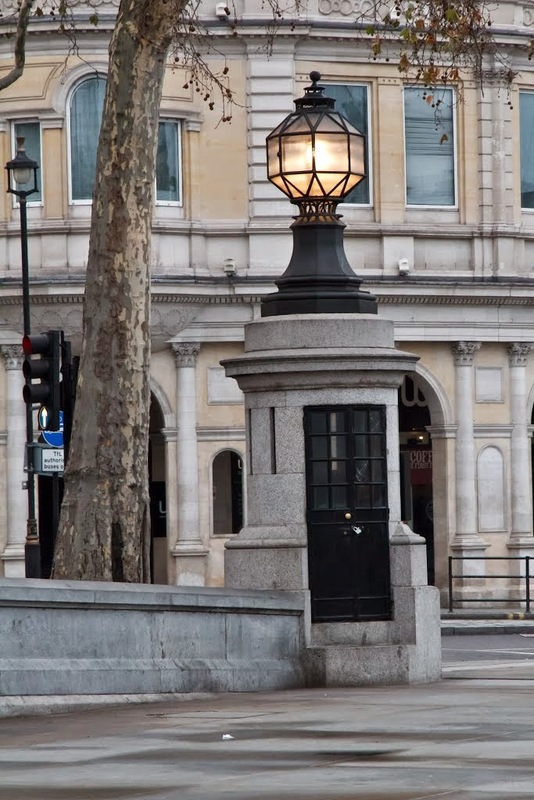 The building housed a telephone and when it rang the light on the top of the post flashed to draw the attention of the officers on duty in Trafalgar Square. As an extra bit of trivia, the lamp on top of the police box is alleged to come from HMS Victory (Nelson’s Ship). Nowadays the station is used a s a storage cupboard for Westminster cleaners.